Oh dear! 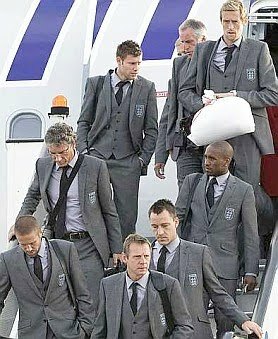 The team I was rooting for to win the World Cup has returned home having lost to a much stronger Germany team. The score was a humiliating 4-1. If Germany continues to play like that, they might win the World Cup. No? They've been in the finals a good 7 times and won 3 times. This time around, they've got younger and fast-running players with great skills. 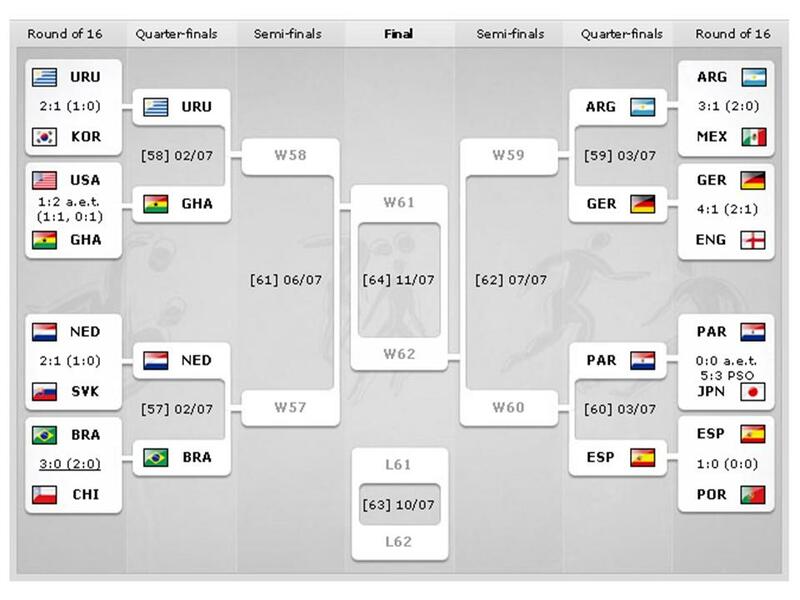 Of course, there's Brazil in the end but before that, they've got to battle Argentina first. I'm placing my bet on Brazil to win the World Cup. Which team are you rooting for? I saw last night, the sad end to Japan's quest having lost on penalties to Paraguay, 5-3. That's a tragic way to lose. With that win, Paraguay advances to the last 8 stage which is the quarterfinals and they'll be playing Spain who beat Portugal 1-0 to advance. 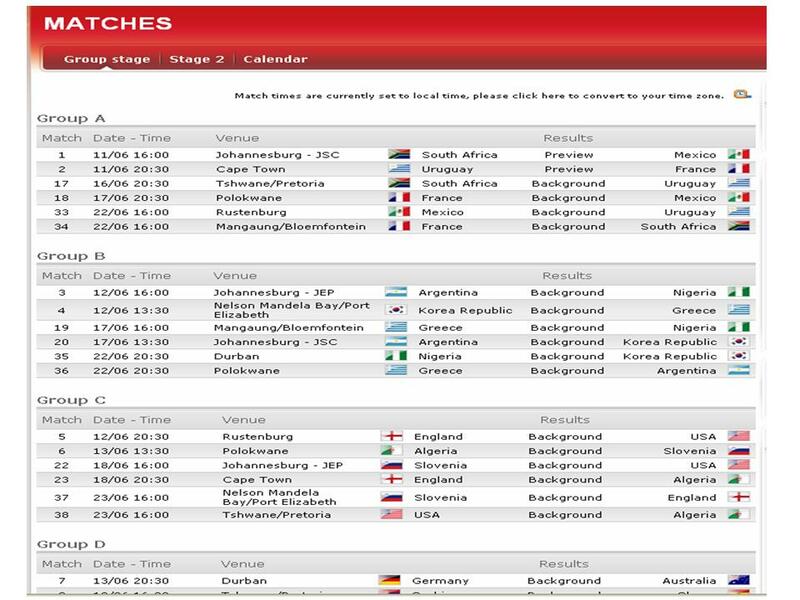 Below is the schedule of matches for your reference courtesy of the FIFA website. Click image to enlarge. Yes, I am a Justin Bieber fan. No, I’m not a 12-year-old girl. This probably comes across a little strangely but it’s not like I plaster my walls with his pictures from teen magazines. That wouldn’t be acceptable for any 40-year-old woman. I just own his CD. Even people who aren’t fans have to admit that the kid’s got a great singing voice. When I first heard some of his songs on Top 40 radio I thought “Oh, just another child star.” But then they started getting into my head and I started humming them throughout my day and singing them in the shower. So I caved in and bought his album. I also use my Wireless Internet Service to look up any of his TV appearances and watch them on DIRECTV or record them if they’re on while I’m at work, which I’m sure fits in with the schedules of his targeted fan base, pre-teen girls. I don't know about you but I sometimes run out of gift ideas for girlfriends birthdays. It just dawned on me that women's pajamas do make great gifts. I always go for practical gifts so sleepwear fits into this category. I found Womenspajamas.com while browsing the net the other day. I was amazed at their wide selection of over 1,000 different styles of women's pajamas, nightgowns and other sleepwear suitable for every personality and occasion. There are even thermal and footed pajamas. Their pajamas come in an extensive range of fabrics from cotton to organic cotton to flannel, satin, silk and more. There's also a wide range of brands and designers, including Oscar de la Renta. 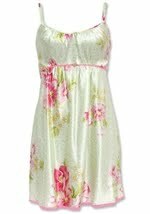 The Womens Pajamas site is user-friendly and easy to navigate making the shopping experience an easy, hassle-free and pleasant one. All orders usually ship within 24 to 48 hours and they come with a 100% satisfaction guarantee - full money back no question asked though customer is responsible for shipping back the goods. 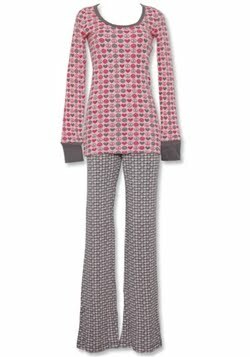 If you are looking to buy women's pajamas, this site is the store to go to. Do check it out, you'd be amazed at what they have. Lockers play an important role in the personal storage department. We can find lockers in schools, in gyms and bowling alleys, amusement parks, shopping complexes, in bus and railway stations and many workplaces. If you're in the market for lockers, or looking into buying a sturdy locker for your garage, MoreLockers.com is where you'd want to look. They have more than 30,000 locker solutions from a wide selection of lockers including standard lockers, vented lockers, stadium lockers, specialty and designer lockers and in a choice of different materials. 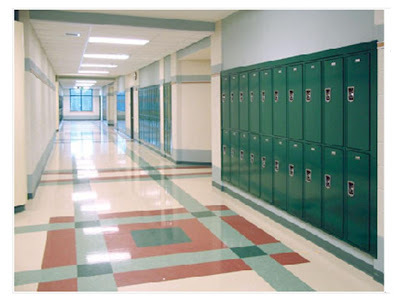 There are steel lockers, vinyl lockers, even wood lockers to meet specific needs. 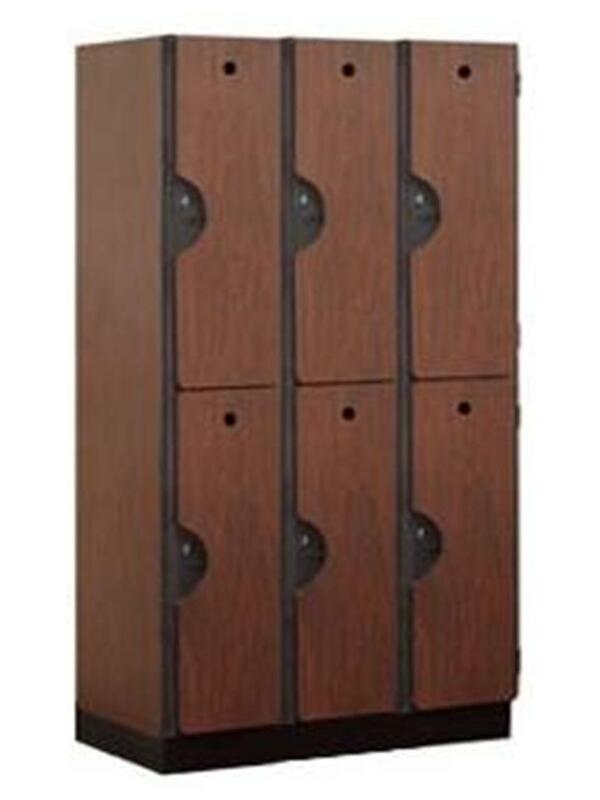 Morelockers also stocks locker accessories and locker benches to make it a one-stop shop for lockers and related products. 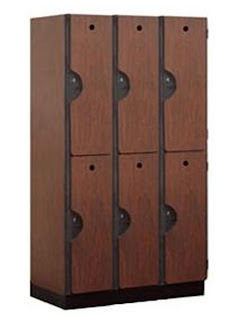 MoreLockers not only have the largest selection of lockers in the market, their prices are the lowest around backed by a 110% low price protection before and after a purchase. Whether you're looking for school or gym lockers or just a personal locker, their expert Customer Service team will be able to assist you every step of the way. They are extremely knowledgeable about the products they offer and can assist you with everything from pricing large jobs, to installation. Have you ever experienced joining a tour but came away feeling like you didn't learn enough about the places you visited? The next time you visit New York, why not join one of Context Travel's Guided Walking Tours. 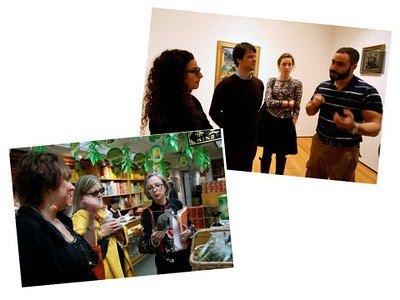 What Context offers is an in-depth alternative to traditional tours. One of the features that distinguishes them from the others is that their guides or docents who lead the walking tours are experts in their field. They are architects, historians, art historians, and specialists who have in-depth knowledge of the places they lead their visitors and a tour with them is something like a walking seminar for intellectually curious travelers be it a museum, the market or to the trendiest spots in the city. New York walking tours is just one of over 300 different walks in 12 cities around the world. The other feature that distinguishes Context is their small groups of no more than 6. You have a choice of joining a group walk which is priced on per person basis, or requesting for a private walk which is at a flat rate. A private walk package is economical for five or more people or for families and is customizable. So, the next time you go to New York, go for Context's NYC walking tour for a more enjoyable tour of this bustling city. The Internet has become a common way of life for many of us. It has opened new avenues for users around the world to communicate, seek entertainment, shop and conduct business online. Running a business these days requires an online presence to leverage the Internet as a medium for connecting with the world. Having a website requires web hosting. However, choosing web hosting service could be a daunting task but it needn't be if you have the relevant information to help you make an informed decision. Basically, there are three main types of web hosting. There is the cheap web hosting for individuals. 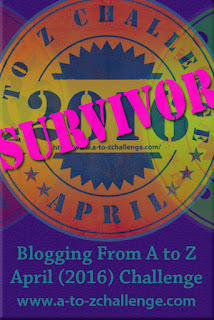 This is primarily for small personal websites such as blogs. Then there is the VPS hosting (Virtual Private Server) which is a preferred option for small and medium sized businesses. This server comes with a much greater degree of control, guaranteed level of performance, and advanced software. Dedicated servers represent the upper echelon of web hosting service because the hardware is devoted to only one customer, offering webmaster constant server monitoring, full customization, and dedicated network connectivity. This type of hosting would be for big corporations. 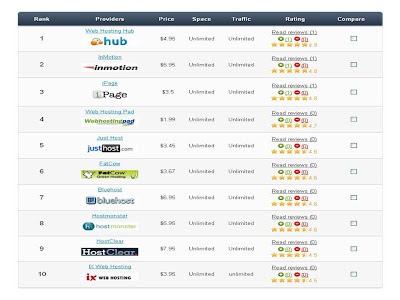 There are many web hosting providers in the market. How would you know which one offers the best package and service? 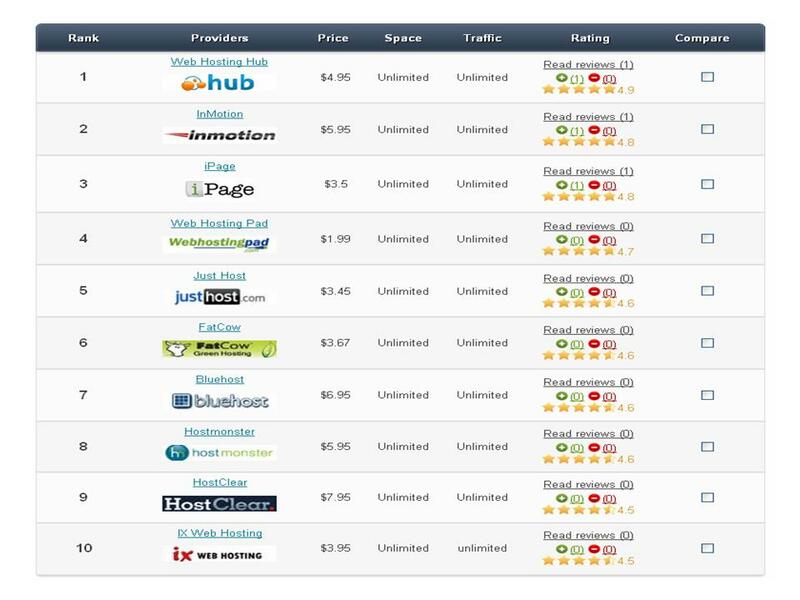 By referring to a web hosting directory like the one provided by webhostingrating.com would help. In it, you will find reviews and ratings by real customers. It allows you to compare the different plans available. Also, having access to a web hosting guide with information like how to pick a web hosting provider would be helpful too. This one is interesting. Never knew the subject we dislike in school has a bearing on our personality. Go on, take the quiz and find out..
You are an expressive, passionate, and spontaneous person. For you, math is way too cold a subject. You dislike how black and white it is. While some people have extreme passion for math, that would take far more work than you're willing to put in. What you're into changes like the wind, and you could never be forced to choose one thing. You have to be free to follow what you love. Friday Frolics: Waste Time at Work! With France out of the World Cup without winning a game, Italy, the defending champion, has also joined the bandwagon (not in a good way unfortunately). Italy too did not win any game. Japan has qualified for the next round after beating Denmark last night, earning 6 points after winning two games losing one. We still have two more groups to go, Groups G and H who will be playing tonight. Group G's game will be interesting to watch, Brazil vs Portugal. Under normal circumstances, win or lose these two countries would already qualify with their scores of 6 points (Brazil) and 4 points (Portugal), the latter on goal-difference. Côte d'Ivoire would have to perform extraordinarily well beating North Korea with at least a 7-goal difference(!) in order to beat Portugal. What do you think? Can they do it? That's left to be seen tonight. 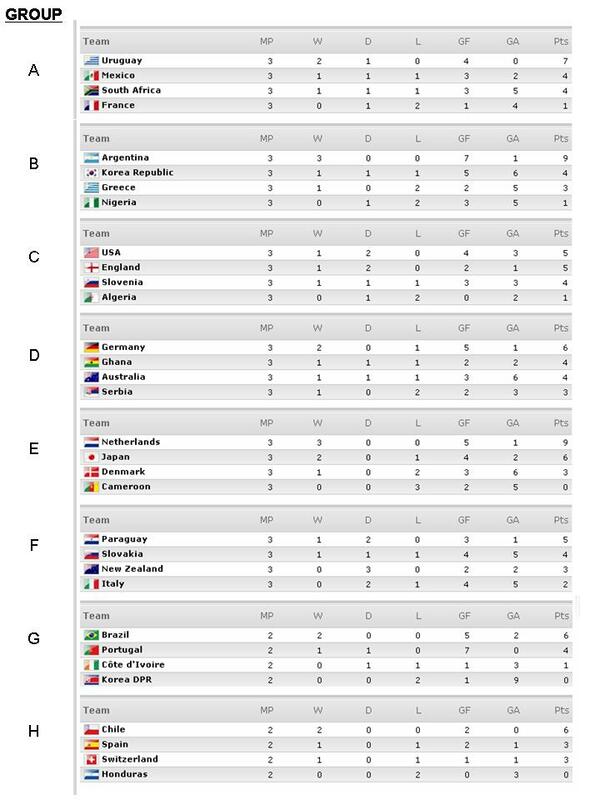 Group G is the group to watch! Come to think of it, Group H games would also be nail-biting with all three top teams vying for a spot to the next round. Who are you rooting for? 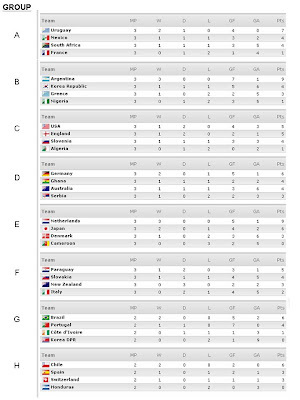 Thought I'd put together the scores borrowed from the FIFA website. Click on image below to enlarge. No matter where you're watching the games, either at home, at a friend's or at the mamak stall, enjoy the games tonight..
A recent research suggests that nearly 6 in 10 parents with children aged 17 and below may have insufficient life insurance cover. This could be the result of many people thinking that arranging life insurance is a complicated and expensive undertaking. Having no or insufficient coverage leaves one's family potentially exposed in the event of one's death. 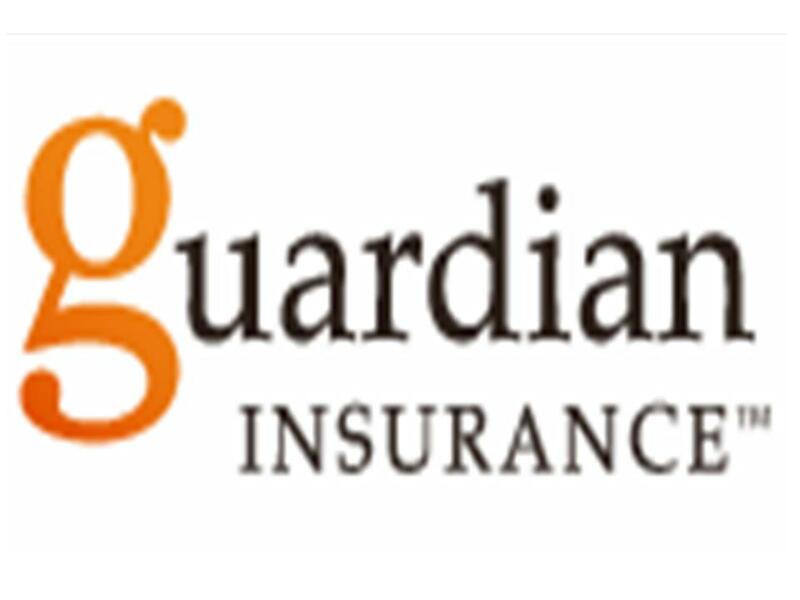 Guardian Insurance of Australia is one of the top insurance companies in Australia. If you do a search for life insurance Australia, Guardian shows up as among the top search results. 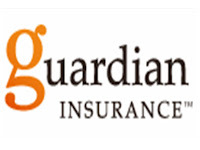 Guardian makes it easy to arrange for life insurance. You can do it in two easy steps. Step 1 - get quote online. Step 2 - call to apply. There is no need for medical exam, no blood test required. It's guaranteed renewable for life, plus they provide a 30-day money back guarantee. Accidental deaths have left many families unprotected. Statistics show that 7 males and 6 females die of accidents every day in Australia. It is wise to prepare for the unexpected with Guardian Accident Insurance. Income insurance protects your income and secures your lifestyle in the event of your inability to work due to sickness or injury. Loss of income can cause serious hardship to yourself and your family. Your home, car, food, clothing, children’s education – all depend on your income. When you think of how your lifestyle could be affected, it only makes sense not to overlook this important cover. Sufficient insurance gives peace of mind knowing that your family is protected and well taken care of. To manage my photos online, I use Webshots. It is very easy to use. I have a 35mm camera. I get my film developed on a CD. I load the pictures from my CD onto my computer. I then take those pictures and create a folder for them. I name that folder. I then go to webshots.com. To load my pictures from my folder, I would click on the upload button. Then click on the browse button to search for that folder. Once the folder is found, click on upload. Once your pictures are uploaded, Webshots will ask you to name your photo album. Once that is done, you can filter each picture into the album it belongs to. For example, you might have a photo album named South Dakota. Any picture that relates to South Dakota can be moved to that photo album. After you name your album, you can then categorize it. Since South Dakota is a state, you would probably want to categorize it under travel. Webshots is also a sharing site. Anyone who is a member of Webshots can view your pictures and download them. You may also view and download any members photos. This is great if you are taking a trip somewhere. If a member of Webshots has already been to that same place, you can view those photos before you go. Since I use hughes wireless, sometimes the upload process can be rather slow. It is better to do any uploading or downloading in the morning. Internet traffic is not as busy during that time. What is it about summer that perks up the spirits. It must be (among others) the sunshine, the flowers in the garden, the vacation time coming up not forgetting the round or two of golf for some of us! Making reservations is easy . 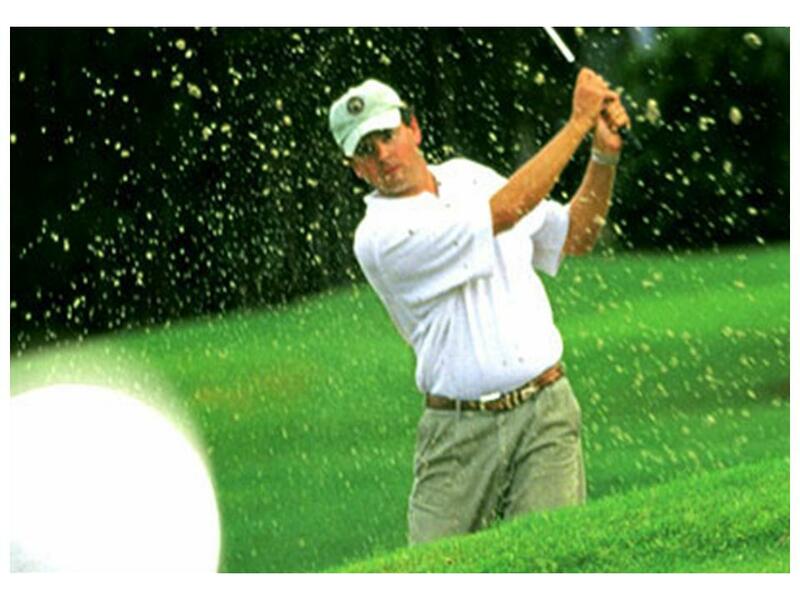 It's just one phone-call away or you can book one of their Myrtle Beach golf packages online at http://www.myrtlebeachgolf.net. The best part is, they let you book your tee times and accommodations at the same time. One of their popular golf packages include a course that legendary players and course designers, Arnold Palmer and Jack Nicklaus, play in. You'd be walking among the greats when you play there. For those who don't play golf, there are lots of other attractions to keep you busy. You can visit the many museums available, have a thrilling time at the amusement parks, take in a show or two at the theatres or go shopping! 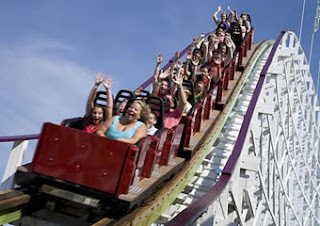 Myrtle Beach has a lot to offer holidaymakers, young and the young at heart. Yesssss!!!! 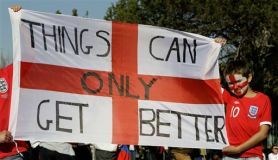 England is through to the next round after beating Slovenia 1-0 last night. And yes, things can only get better as what the fans' banner says. Image courtesy of The Star.. Thanks to guest sports blogger Aakar Paschal. Although I am from India, I lived much of my life in Serbia, which is why I am rooting for them in the world cup. Branislav Ivanovic now a first team regular for the Serbian national team is looking to play in his first ever world cup. The twenty six year old defender has firmly established himself as first team player and is looking to hold the Serbian defense together in group D.
The six foot two central defender was in the Premier League Team of the year in 2010 with Chelsea FC. This is a major honor and award. The center back has also been an instrumental part of Chelsea's squad that has captured the 2010 English Premier League and FA cup. Ivanovic has been in excellent form for the Blues and was a top scoring defender in the UEFA Champions League. The strong center back is expected to partner with Nemaja Vidic to form a powerful defense and shut down opposing teams. Vidic, Ivanovic, and another Central Defender Subotic are some of the highest scoring defenders in Europe. These three players are like walls in the heart of the Serbian defense and are dangerous during set pieces. With younger players around him, Ivanovic is expected to take a leading role in the team. I have watched Ivanovic play in the UEFA Champions League, English Premier League, and must say he is a top class defender. Strength, positioning, heading, and scoring off set pieces are some of his feats. He is well disciplined, times his challenges well, and is a very good passer. All of these traits make Ivanovic a fearsome foe to come up against. I will be looking at him closely during Serbia's match with Australia, and Germany on Satellite TV. Ivanovic is one of my favorite defenders and players from Chelsea FC, a club which I support. I’m glad I found such good satellite tv indian channels so that I can watch all the games from my home in Mumbai. Let's go Ivanovic and Serbia! Impress during your first world cup! Yellowpages is where most of us go to in search of a place or a service. Though useful, it would be a better site if there is more information available to complete our search. There is now an improved search engine. Local.com is a local search engine which is a hybrid combining information from Citysearch.com, Yelp.com, Yellowpages.com, and Superpages.com. What this means is that you need only visit one site to view contents from all these sites. For instance, a local restaurant search will give you all the local restaurants available in the city. 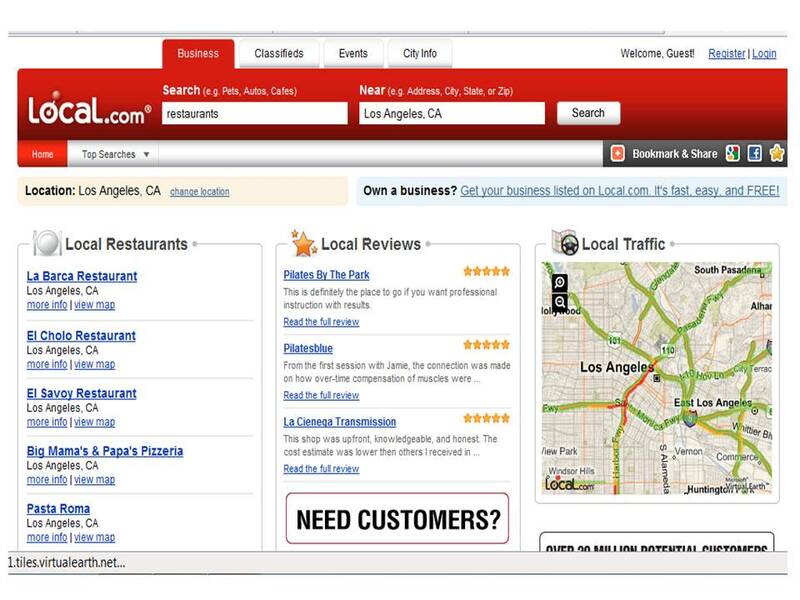 Not only that, you can find a whole lot of information including accurate driving directions, business contact information, as well as an aggregate of reviews from mulitple sites -- essentially a one-stop shop for finding local businesses and services. Users can also contribute and share their own reviews. You can also find local events, local coupons for shopping and local favorites. If you're in the US, Local.com is really a helpful information resource. This local yellowpages makes searching for something or someplace such a breeze. If you're looking to buy a car, either used or new, and are looking for reviews to get more information on the model you have in mind, The Car Connection is where you'd want to look. The Car Connection provides up-to-date commentary on cars, both new and used cars. You'll find reviews and comparisons of the latest new vehicles, with easy-to-read summaries of styling, performance, utility, safety and value. An extensive range of cars, of different makes and models, have been test-driven and reviewed. 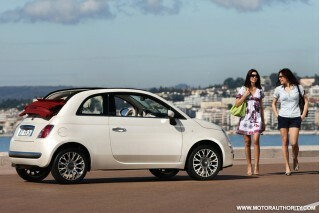 If you're looking for a small car, their review on Fiat 500 should give you some insights into this car. Or perhaps, the VW golf might interest you. The Golf is Volkswagen's small hatchback, offered in two- and four-door variants. However, if you are in the market for a pickup truck, not the huge model but something a little compact, the Ford Ranger may be up your alley. Looking for a family car instead? The Toyota Sienna is a popular, family-oriented minivan model. The U.S.-made Sienna has V-6 power and available all-wheel drive and is an alternative to a wide range of minivan models. For everything cars - news and views, tips and guides - make The Car Connection your resource. Bookmark it! Are you a collector of coins? If you are, here is a site for you. 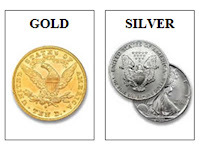 Wholesalecoinandmore has a wide selection of coins in various categories. Gold and silver coins are available, the latter in various categories and denominations including commemorative coins, proof sets and mint coins. If you are into numismatics, a good buy here would be their wholesale coins which are sold in batches. For just $149.99, you will get a bagful of an assortment of silver coins in different denominations and from a mix of countries. Among them are rare coins and there may be a Pre-1904 Silver Dollar which is over one hundred years old, a real collectible for any coin-collector. We all know that quality shoes seldom come cheap. But there is one shoe store that does have quality shoes at very affordable prices. At ShoeOcean.com, not only the shoes are of high quality, they are cheap, versatile and comfortable as well. Indeed, ShoeOcean does have an oceanful of all kinds of quality and cheap shoes. ShoeOcean.com is an independent online retailer of Cheap Shoes, Women’s Sandals, Fashion Boots, Bridal Shoes, Casual Shoes and more. They offer an outstanding selection of women’s footwear at affordable prices but they do not sacrifice quality to deliver low costs. For those on a budget but would still want stylish shoes, ShoeOcean has the best selection available. All kinds of shoes in many different colors and styles can be found on ShoeOcean. They include great looking and versatile Boots, Pumps, Sandals (from casual and classy to formal and fabulous), high quality and diverse in style Flats, wedges, even designer shoes but at cheap prices, shoes for just over $10 as well as under $10! ShoeOcean.com is easy to navigate to find the footwear you are looking for. Shoes are categorized into Boots, Casuals, Flat sandals, Pumps, Sandals, Wedges and there is even a category for exquisite yet affordable Bridal shoes and Prom shoes. 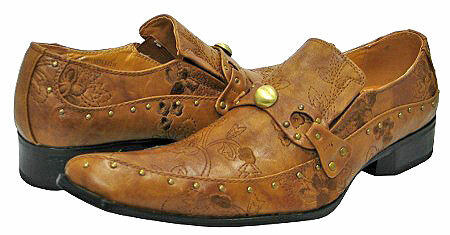 Men shoes are a new addition at ShoeOcean but are equally extensive in range. You can find top quality Mens fashion Boots and Casuals, stylish and comfortable Loafers and Sandals - all at very affordable prices. Take a look at the site. You won’t be disappointed. ShoeOcean only goes to show that cheap shoes can still be beautiful shoes. By the way, if you are in the US, they provide free shipping for orders above $100. Plus, their tollfree line makes shopping so much easier..
Friday Frolics - Are You a Sheep? You don't follow the crowd. In fact, whenever it's possible, you try to avoid the crowd. You don't like blending in, and you are a complete rebel. Being like everyone else is boring. You are a distinct individual, and you're definitely one of a kind. People probably consider you to be quite quirky. If anything, the herd ends up following you. And you find that to be highly annoying! Quizzes and Tests, Oh My! If you enjoy watching Japanese films and are in Penang, here's a treat. Earlier, the Japan Foundation in Kuala Lumpur paid a visit to Chief Minister of Penang, Lim Guan Eng, to promote Japanese films. These films will be shown from June 25 to June 27 at Golden Screen Cinemas (GSC) in Penang. According to Foundation director, Toyoda Shoichi, eight movies for this year’s festival will be allocated. The selection for this year is from various genres ranging from love and sports to adventure and drama such as Dear Doctor, Feel the Wind and The Summit. Tickets are priced at RM5. For details, call GSC at 04-2223456 or log on to www.gsc.com.my. Like all cities, Kuala Lumpur is bustling with scheduled activities for those interested. These are three from The Star's City Watch that I personally would take part in given the time. Check out “The Amazing World of Sunway Lagoon” roadshow at Sunway Pyramid which runs till June 20. Here you will find out more about the new and exciting attractions in Sunway Lagoon, including Bungy Jumping, Archery and Go-Kart in Extreme Park, FlowRider - Malaysia’s first surf simulator in Water Park, Asia’s first Terminator attractions in Scream Park, new exotic and wild animals at the Wildlife Park and more. You can join in the fun Hula Hoop game, test your skills at the Spelling Game or experience the Wild Friends Show and watch amazing dance performances. You may also walk home with a lot of goodies. BRING your family and friends for a good time at Berjaya Times Square and win prizes as you compete in the Giant-Sized Board Games. The weekend competitions consist of a series of board games such as Saidina, SPM Dominoes, Plus + Words and a Board Game Marathon. The Tower Up Challenge offers shoppers an opportunity to win RM500. All they have to do is stack-up blocks of wood into a tower and the highest tower will win. For more details, visit www.timessquarekl.com or contact 1 300 888 988. A TWO-day photography workshop will be held at AMP Photography Academy in Bandar Country Homes in Rawang on June 19-20. The workshop is held from 9am to 6pm and will educate those joining the basic level of photography and intermediate level. Those interested can go to the website at www.ampacademy.com.my or call 016-222 7921. Couldn't imagine Malaysia too has art pieces that are sought after by collectors. The Star today carried a story about an Expensive art by Chinese master stolen. This is a copy of the piece, the original believed to be worth millions. 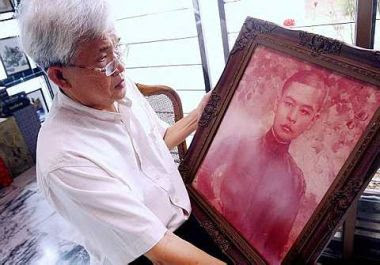 The 88.9cm-high by 60.9cm-wide oil painting, belonged to 65-year-old Foo Lai Loon’s late father. It was stolen from his family home in Taman Limau Manis, Kota Baru (Kelantan) on Tuesday morning, two days ago. It is a portrait of Foo’s grandfather painted by Xu sometime during World War II in Singapore. Xu was a family friend. 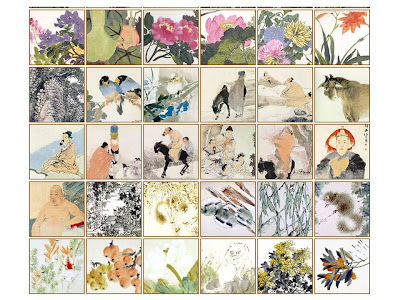 Art works by Xu are much sought after by collectors. In 2006, a painting, The Slave and Lion, fetched US$6.9mil (RM22.5mil) at an auction in Hong Kong and auction houses such as Christie’s Hong Kong have sold his works at prices much higher than their estimated value. Art has always piqued an interest in me, so I googled the painter and one search led to another and another, and finally, a site that lovers of Chinese art, paintings, and history would appreciate. It's the Huntington archive of China: 5000 Years. Awesome, awesome works of art over the years. Finds like this make me all excited about the Internet and very thankful for it's advent. This educational website takes you through 5000 years of art history in China. Below is the index of the site's contents. For an actual view of the paintings, go to the Huntington Archive. The website allows you to expand an image (by clicking on the thumbnail), save an image, or simply dragging and dropping it to your desktop or desired folder. Believe me, you will enjoy the tour, even if you are not an art enthusiast. Floods in Singapore... Ooh, nasty!! 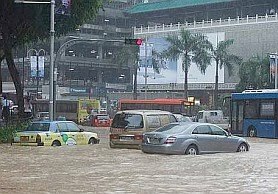 I just saw this online - Singapore flooded today with cars stranded on roads which were flooded by rain water along the main commercial area, Orchard Road. Singapore has been experiencing unusually wet weather the past week. On the other hand, Kuala Lumpur has been hot and dry. We could do with some of that rain in Singapore though. Just the other day, I read an interesting article on investing in gold. Gold investment is nothing new. Savvy investment gold bugs who have been hoarding gold bars in their basement are finally having their day. Gold is probably the most important commodity of all time, even from centuries ago. It has been recommended that gold should make up 5% of your total investment portfolio. Gold, in any form, safeguards your savings protecting it from inflation and the eroding value of paper currency. Being more valuable over time, ultimately, gold helps you create a legacy of wealth. It's not too late to buy gold bars or to buy into other forms of gold. 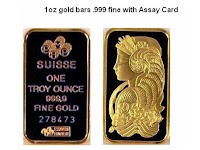 The United States Gold Bureau is one of the trusted authorities on buying gold. Their experts can help you navigate the ins and outs of the gold market. You will be provided with all the information you need to differentiate between the different values of gold. How do you make your home safer? This question can be asked of 100 people and of course 100 different answers would be heard. The easiest way is to consider your particular situation and do what is best for the specific situation. In looking at my home and neighborhood, the most convenient thing was to install deadbolts on all of the entry doors. By making sure that each of them was steel construction also, this added an extra layer of security and consequently reduced my insurance premium in the process. Another great tip that I discovered was to put up exterior lighting that went on at dusk and automatically shut off at dawn. By illuminating any out of the way areas, it discouraged any suspicious activity from occurring. I also regularly check the outside and have mail picked up whenever I will be gone for extended periods of time. The neighborhood where I live looks out for one another and does their best to monitor any kind of activity that looks out of the ordinary. By keeping up the yard and parking a car in the driveway at all times, it gives the appearance that somebody is always at the residence and it is not an easy target. This alone will discourage action taken against it. Another smart thing to do is put adt signs around your house so that burglars will be scared off. Big corporations spend big bucks advertising each year. However, most small businesses do not have that kind of budget to spend on expensive advertising. We now know why. 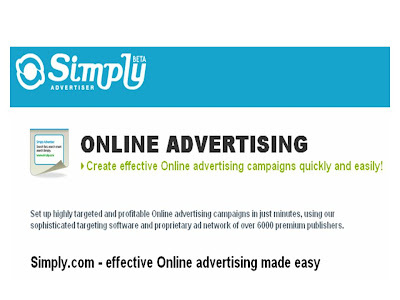 A recent survey conducted by Simply.com reveals that 46% of small businesses do not know how to advertise online or did not feel they understood online advertising well enough to make their campaigns work effectively. When it comes to online advertising, most businesses use Google advertising. While Google Adwords is popular, there isn't a strong support team that customers can call at any time for help and advice. 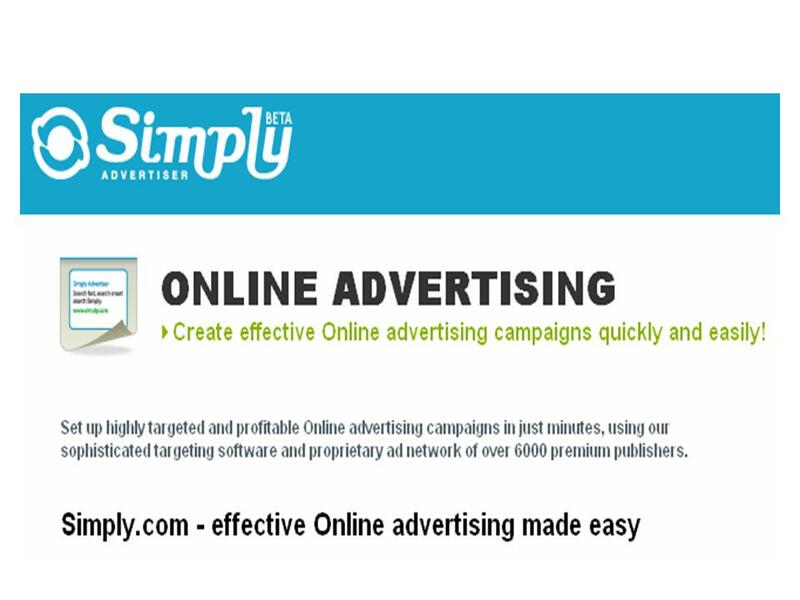 Simply.com's unique advertising model may be the answer. The system is easy to use and the ads are highly targeted among the positives of this system. If you are looking to build your dream home and are in the market for home plans, you need look no further. 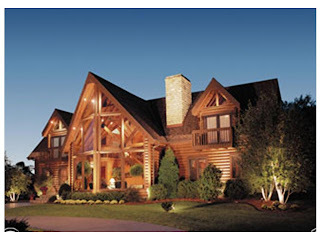 Houseplansandmore is where you can find home plans and more. Houseplansandmore is a great resource for homes plans. Being in the industry for over 25 years, their designs have been reviewed with utmost diligence and have proven to be the best in the industry. The website has a catalog of over 17,000 plans and is a wonderful information source for home plans. Homeplansandmore is easy to navigate. You can easily locate and view the extensive list of architectural styles available, from Bungalow house to Cottage to Cape Cod to Lake house to Ranch and Farmhouse and more. They even have specialty architectural styles like the Italian and Spanish houses. Houseplansandmore also has plans for building additional structures on your property, such as garages, sheds, decks & gazebos should you wish to add them on after the house is built. A simple Quick search will help you find a home that fits your lifestyle needs. An Advanced search will further fine-tune your search for amenities, construction and foundation type, interior and outdoor, etc. The site allows you to save home plans for comparison purposes and have your own personal catalog of your dream homes and from which you can have a sample of your own house floor plan for your dream home. Do check out Houseplansandmore.com. There really is no other more resourceful site. 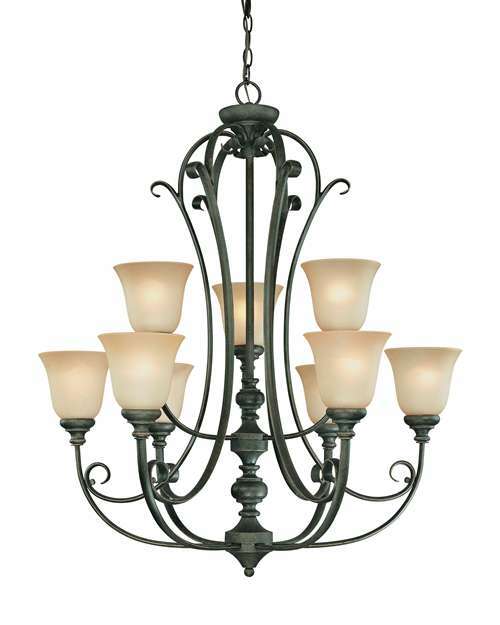 LightingTheWeb - the One-stop Shop for Lights and Hunter Ceiling Fans and more. Looking to buy lights for your home? You've come to the right place. No, I'm not in the lighting business but have I got just the site for you. No matter what home lighting fixtures you are looking for, contemporay lighting or traditional lighting, LightingTheWeb.com will have what you are looking for. There is no need to look elsewhere really. 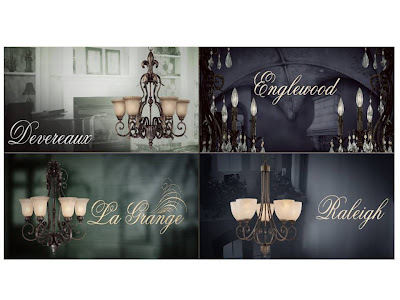 LightingTheWeb is indeed a one-stop shop for all things lights and more, from floor and table lamps to wall sconces, from outdoor lightings to pendant lightings, from crystal lightings to quality, stylishly-designed chandeliers and many more. 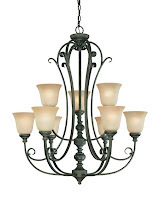 LightingTheWeb has been a leader in the lighting industry and is an authorized factory dealer for a wide selection of excellent brands including Sea gull lighting, Quoizel lighting, Livex Lighting, Elk Lighting, Crystorama lighting, Jeremiah Lighting, Corbett lighting, Troy lighting, World Imports Lighting, Kenroy Lighting, Capital Lighting, Vaxcel Lighting and others. 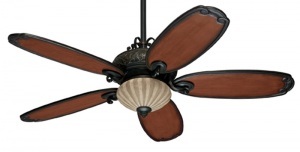 While you are shopping for lights, why not check out their Hunter ceiling fans? Bring a bit of Italy and tradition to your home with the Hunter Ceiling Fan 20501. With hand-painted Bullion black finish, classic vine and leaf patterns hand-carved wood blades, the Solano™, as it is named, will add an Old World charm to your home and sure to be a conversation piece. Alternatively, you may want to look at the other Hunter ceiling fan models. Place your order now to take advantage of their Spring Sales Event where most items are significantly marked down. Shipping is free for orders above $200. If you are buying in bulk or if you're a contractor or Interior Designer buying in volume, talk to them for a better pricing on your next project. LightingTheWeb offers the best volume discounts on the internet. Are you thinking of improving your garden but are short on ideas? How about enhancing it with an arbor or two? 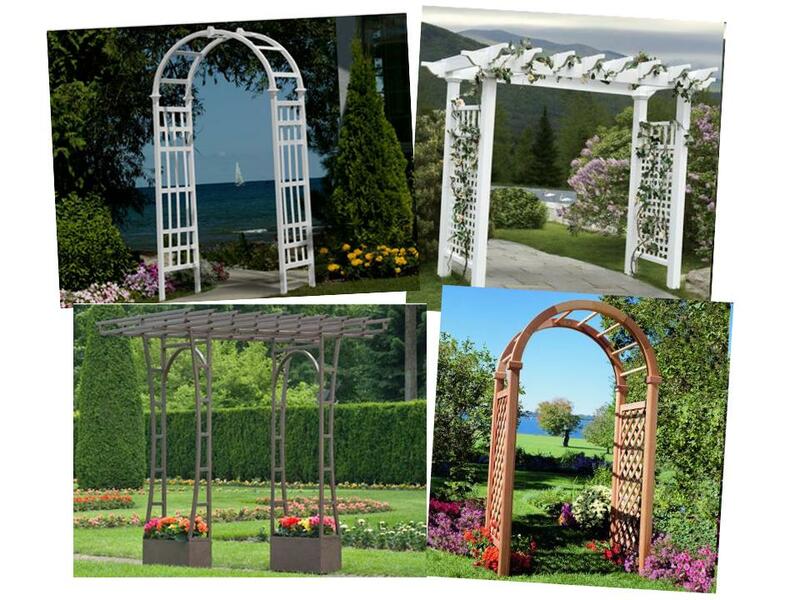 Garden arbors can do wonders to a garden or a yard. Besides adding beauty to the garden, arbors are also functional where vines and creeper plants can be planted and trained on them. 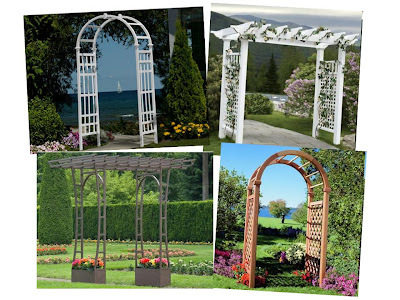 There are metal and vinyl arbors but wooden arbors are popular as they can be painted with the color that can easily blend in with the surroundings. Alternatively, they can be stained or even left to weather gracefully to a warm silver gray. Yardarbors uses Red Cedar wood for their arbors as Red Cedar wood is sturdy and arbors made from this wood are built to last. Red Cedar is naturally rot- and insect-resistant and provides years of useful beauty. Furthermore, Yardarbors has a low price protection policy as well as a 30-day no hassle return policy. Take advantage of the 15% discount which they are giving on most of their arbors. Hurry! Check them out! Friday Frolics - Are You a Tortured Genius? Are you a genius? No, wait, this quiz asks whether you're a Tortured Genius. I'm not a genius neither do I feel tortured so no idea why the quiz says I'm 66% tortured. Maybe I need to chill a little and turn a blind eye sometimes. You are smart. Brilliant in fact. And while it's a blessing, it's also a curse. Your head is filled with everything - grand ideas, insufferable worries, and a good deal of angst. 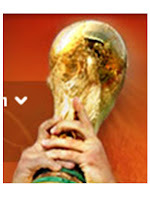 FIFA World Cup 2010 fever has begun.. 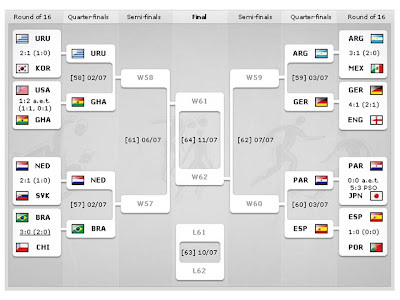 Check out World Cup 2014 in Brazil! It's World Cup day! 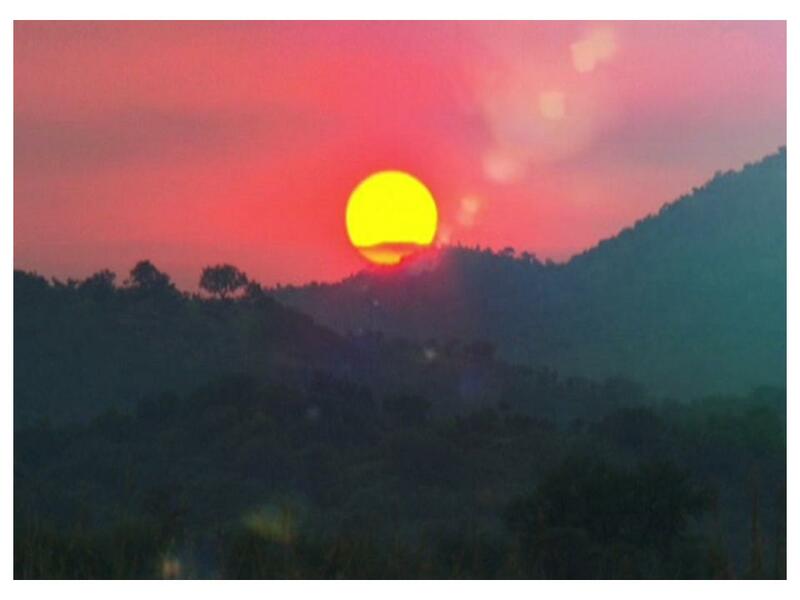 Excitement is at fever pitch everywhere even as dawn breaks over South Africa.. I opened up Google.com a while back and guess what I found. Google is a good source when it comes to commemorating events old and new. The Google icon for today is the FIFA World Cup which incidentally is the day the matches will begin. The first game will start at 10pm, KL time but before that, there is the Opening ceremony which promises to be a show like no other, being held in the continent of Africa for the first time. 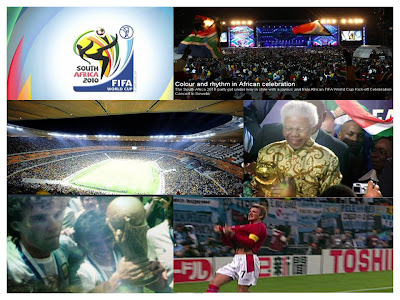 The first FIFA World Cup™ on the African continent may be scheduled to kick off on 11 June 2010 but the event began in earnest the night before with the inaugural FIFA World Cup™ Kick-off Celebration Concert. Billed as the greatest entertainment event to-date in Africa, the concert was staged at Orlando Stadium in Soweto, Johannesburg and featured musical performances by international superstars in collaboration with major African artists, as well as football legends from the past and the present, as well as celebrities from other fields. World Cup enthusiasts will no doubt be familiar with the match schedule. Match 1 will be between South Africa (but of course) and Mexico slated to begin at 10pm KL time or right after the opening ceremony. Here's a screenshot of the matches. Click image to enlarge. Here's where you can access the complete match schedule. If you are one of those lucky people attending the Opening and want to know more about ticketing info, this FAQ may be helpful. Like all events, safety and security are a key concern. FIFA has laid down a number of rules which govern what fans can bring into the 10 stadiums which will host the 2010 FIFA World Cup. A general list of prohibited items have been listed in the official 2010 FIFA World Cup Fan Guide and signage at the stadiums will remind fans of what they can and cannot bring into the stadium but there are a few other important points that they will have to take note of. * No bottles, cups, jugs or cans. * No recording of sound images or footage other than for private use. * No alcohol or drugs. * No racist or xenophobic material eg t-shirts or flags. * No entering the pitch or area around the pitch. * No banners or flags larger than 2m x 1.5m. * No promotional or commercial material. * No food or drink. * No gas, spray cans, corrosives or anything that could cause fire. * No standing on seats. * No excessive noise; megaphone, hooters or gas powered horns. Vuvuzelas are allowed. Kuduzelas are not allowed. * No selling of goods or tickets. * No transmitting or broadcasting of sound, pictures, descriptions or results of the events via the Internet or other forms of media. * No objects which could compromise public safety. * No big objects which cannot be stowed under the seat. Stadiums will be open 3 hours before prior to the kick off time for matches 2-63. The stadiums for match 64 will open 4 hours prior to the kick off time. For the opening match the gates at Soccer City will be open from 10am. Fans are encouraged to be seated for the opening ceremony by 1pm. The ceremony starts at 2pm. If you're already in South Africa or Cape Town to be precise, and could do with some info going to the opening, this article from the FIFA website, All you need to know about Match Day 1, will be helpful. For those of us looking forward to watching the Opening live in Kuala Lumpur, quick go on home before 8pm when all that Opening action will begin. The ceremony starts at 2pm local time and Cape Town being GMT+2 or 6 hours behind KL, 8pm is the time you want to be seated in front of your telly. Enjoy! Do we say, Happy World Cup? Oh well..
Btw, if you're on Twitter and are interested in getting short updates and realtime reportings, follow FIFA President, Joseph S. Blatter @seppblatter, for his views and opinions throughout South Africa 2010. If you are a motorbike rider in the UK and have had an accident but no idea who to turn to for making motorbike accident claims, Claimant Law is where you can turn to for assistance. 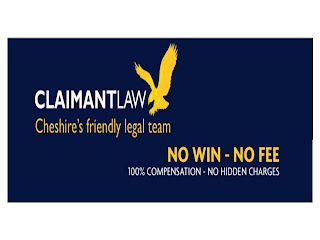 Claimant Law is one of UK's leading personal injury firms. 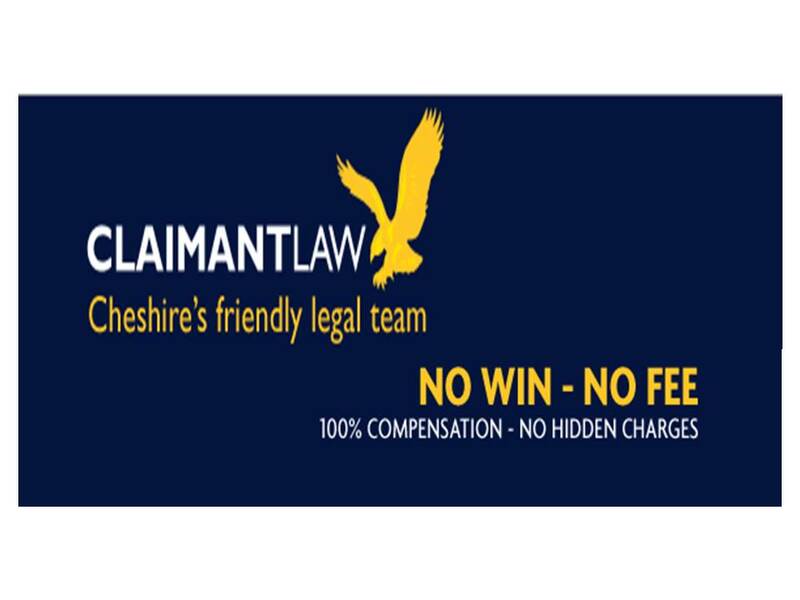 They have a specialist team of solicitors acting in any area of personal injury claims which include motorbike injury claims, accident at work claims, car accident and whiplash injury claims, clinical negligence claims and cosmetic surgery claims. Making injury claims at Claimant Law is hassle-free. Simply contact one of their specialists at 0800 089 4444. Alternatively, you can register your claim online. Replacing kitchen cabinets can make a huge difference in an older kitchen’s appearance. Unfortunately for me, cabinet replacement estimates ran way over my budget. One of the contractors that I spoke to suggested sears cabinet refacing. A refacing remodel consists of replacing your existing cabinet doors, drawers and hardware and applying a veneer to all the exterior parts of each cabinet box. My first impression of cabinet refacing was that the job was done with inferior materials. After a bit of research I found that nothing could further from the truth. Today’s custom cabinet doors feature solid hardwoods and veneers in just about every style imaginable. The type of cabinet panels that you choose will determine the cost of your refacing makeover. As a general rule refacing will cost about 50% less than small quality full cabinet replacement. Unlike a complete kitchen remodel which can take weeks to complete, you can get a quick kitchen makeover with great looking cabinet panels in just a couple of days. This tuned out to be a very cost effective way to match my flooring and counter tops that may have been changed a couple of years ago. The one caveat to this type of remodel is that the existing cabinets need to be in good shape, if they’re too old or in disrepair they wouldn’t be good enough condition to install new cabinets and drawers. Hey, it's Friday again! Some of us thank God for it, others wish it's Monday again. No matter, let's just hang loose for a while and do something that doesn't need too much brain power, shall we? Enjoy the quiz. Enjoy the day..
You have reached a point in your life where you've accepted things and found bliss. You cultivate a sense of gratitude, and you believe that each day you're given is special. You have a low tolerance for drama, and you have been known to cut troublesome people out of your life completely. You are a daydreamer, but there is nothing lofty about your dreams. You can be perfectly happy just watching the clouds. A ride in a limousine may not be a costly affair. Some limo companies offer discounts and special deals. Take aStretchOut Limo, for instance. They are now offering a 10% off their hourly rate, as well as offering other promotions. Just to prove that their rates are among the best around, just google cheap limousine new york or discount limousine new york and you will see them appearing on the top of the first page. AStretchOut Limo is a premier New York limousine transportation service in New York City with years of experience in the industry. They are committed to providing you with safe and reliable business and personal limo services in New York (NYC), New Jersey (NJ), Long Island (LI) and Connecticut. 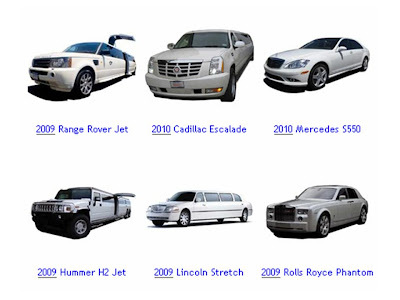 If you are looking for a reliable Brookln limousine service, AStretchOut would be it. With their extensive fleet of affordable and well-maintained limousines, you would be able to find the limo that will suit your purpose, be it a wedding, an airport transfer, an excursion, etc. Their professionally-trained chauffeurs and impeccably-maintained luxury sedans and limos will drive you to your destination safely, on time and in style. These days, I hardly use a physical dictionary. With so many online dictionaries easily available at a couple of mouse-clicks, the dictionary has become just another hardcover book on the bookcase. In fact, there are a number of them bought over the years. If you have been using an online dictionary, which is the one you have been using? Here's a good online dictionary if you are looking to replace the one you've been using. It's the Bee English Dictionary. Like all dictionaries, you can browse the Bee Dictionary by letter or you can simply type in the word. If you are a Crossword Puzzle enthusiast, you would be sure to have many hours of enjoyment with their collection of crossword puzzles. 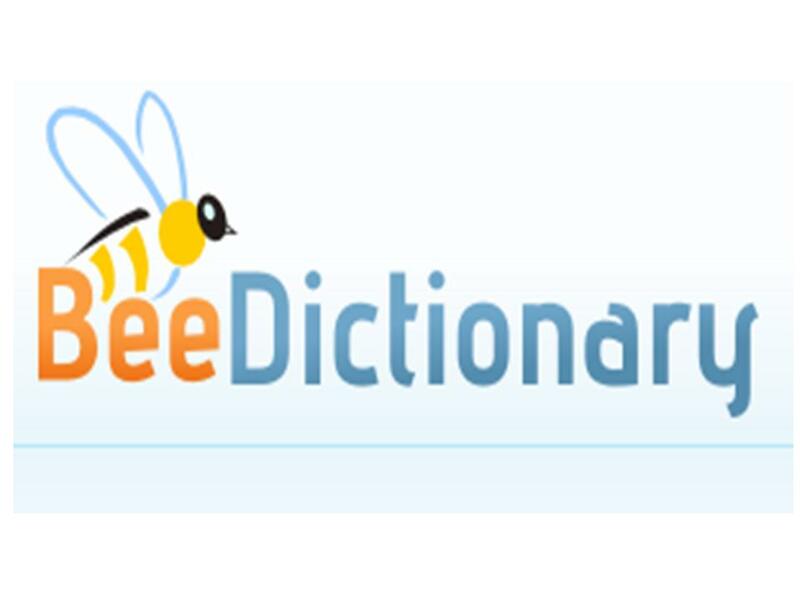 If you have an iPhone, Bee Dictionary is specially designed for the iPhone to quickly look up any meaning, usage and audio of words. You can learn a word a day too with Bee English Dictionary. Thanks to Lydia Barnette for the guest post. Now that the weather is getting warm again, it is time to once again plan those summer outings. Last summer, I took a trip to San Francisco with a friend and we visited Chinatown. I do not live too far away from there, so it was an easy trip to make. I got up early, set my best home security in my house, and went to pick up my friend for a great day. After a few stops in San Francisco, we made our way to Chinatown. There is so much to do there that we could not do it all, but there were a few things that stand out as being worth the trip. One of these was the Golden Gate Fortune Cookie Factory. Here, visitors have the opportunity to watch fortune cookies being made right in front of them. A mid-afternoon snack was just what we needed to give us the energy to get to the next awesome place: The Bank of Canton. The Bank of Canton may not sound like the most exciting place to visit, but it is almost like a museum. It is a very authentic Chinese-looking building which will give you a feel for real Chinese culture. Aside from these places, there are many hotels and restaurants to visit. Take a trip to Chinatown and see for yourself. An interesting article I read on NY Times says that Obesity increases the risk of Type 2 diabetes, heart disease and other illnesses, but a surprising new finding suggests it may not affect one’s health until after age 40. What this means is that we should be watching our weight so as not to be obese after age 40. A conscious effort on what and how much we eat and to include an effective exercise regimen in our routine would save us from having to get rid of belly fat later on. Still, it's worth it, on many levels, not to be overweight - at any age. It's easy to pack on those pounds but will be tough to get them off. I was looking at Barack Obama last night on CNN and realised he has a lot more white hair now than when he first took office. I missed checking out the wrinkles though. 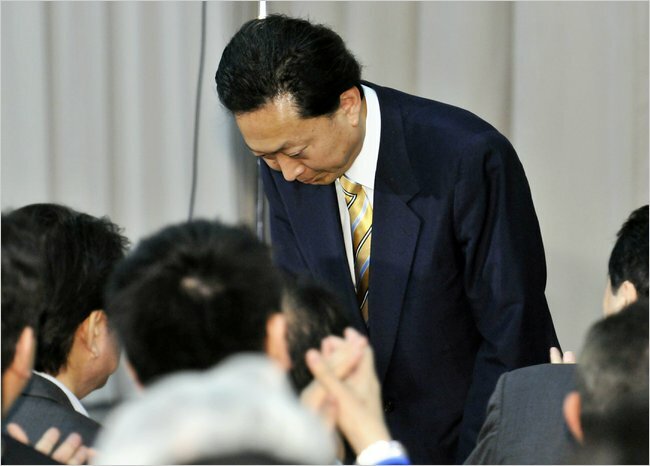 And in today's papers, there is news that eight months after taking office, the Prime Minister of Japan, Yukio Hatoyama, would step down over broken campaign pledges to remove an American base from Okinawa. All this goes to show that it's not only lonely at the top, as cliched, it's a tough job up there. Politics sure is not fun, but somebody's got to do it. We don't talk much about Hemorrhoids, do we? A colleague's husband underwent a hemorrhoid operation last month. I've wondered about hemorrhoids or commonly known as piles so I checked it up on Wikipedia. A number of factors may lead to their formation including irregular bowel habits (constipation or diarrhea), exercise, gravity, nutrition (low-fiber diet), increased intra-abdominal pressure (prolonged straining), pregnancy, genetics, absence of valves within the hemorrhoidal veins, and aging. Obesity and sitting for long periods of time can also increase the rectal vein pressure resulting in hemorrhoids. Hemorrhoids are usually benign. In most cases, symptoms will resolve within a few days. External hemorrhoids are painful while internal hemorrhoids usually are not. Like every ailment or condition, I'm sure there is a best hemorrhoids treatment but recommended treatment consists of increasing fiber intake, oral fluids to maintain hydration, NSAID analgesics, sitz baths (hydrotherapy in a way), and rest. Surgery is reserved for those who fail to improve following these measures. Antique furniture may be nice, some of them at least, but my choice is still contemporary furniture. These days, emphasis is given to multitasking and multifunctional furniture in the modern home. They prove to be more useful especially when furnishing a compact space. Welcoming multitasking pieces of furniture into your home will optimise space and give you more options making your task of decorating simpler to accomplish. Coffee tables that can be used for storage, dining and working are the ultimate examples of multi-functionality. 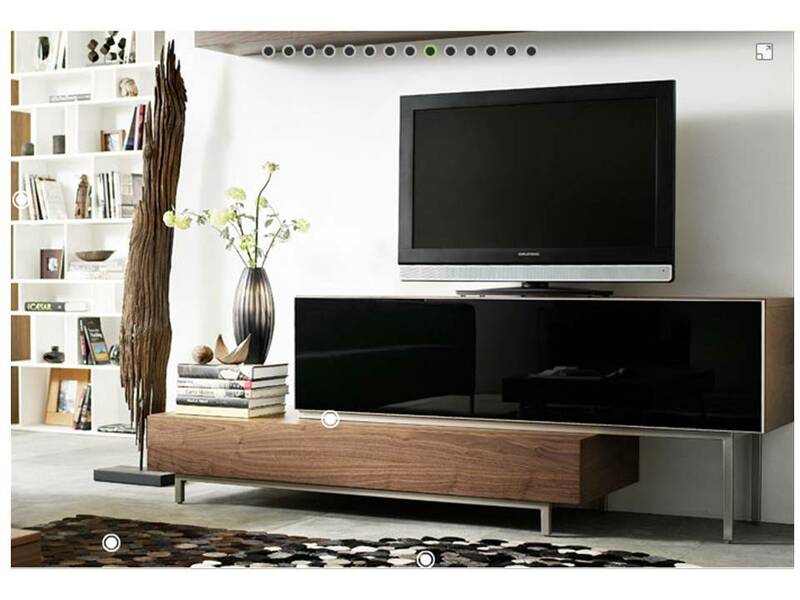 Built-in storage hides remote controls, magazines and all other living room essentials. I'm sure you may already have some of these contemporary furniture at home.